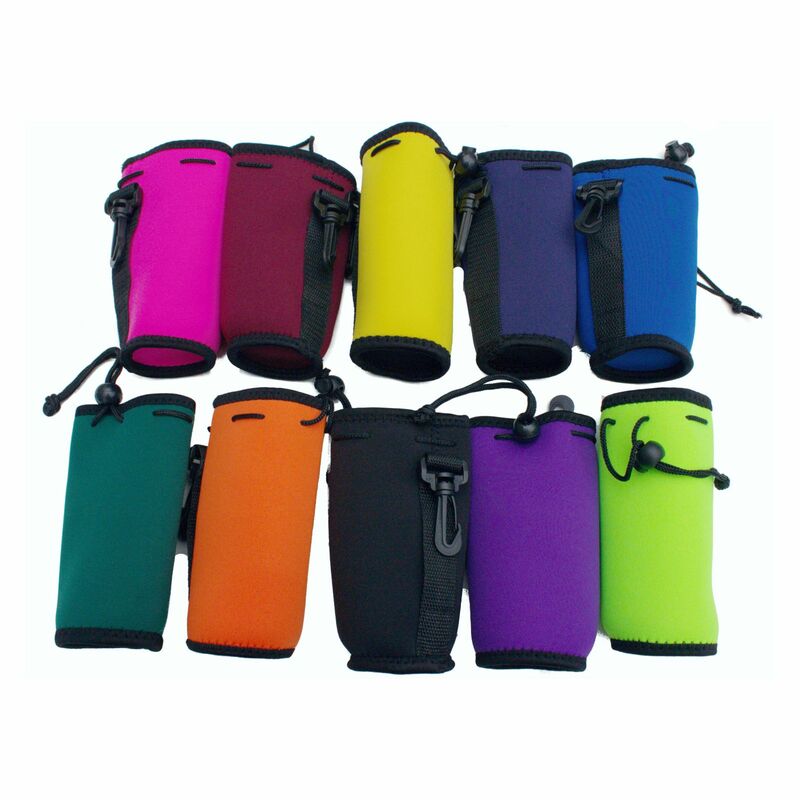 Variety pack of neoprene water bottle coolies with drawstring and clips. These items fit most 20oz water bottles and have a full sewn in bottom. Colors are as shown.